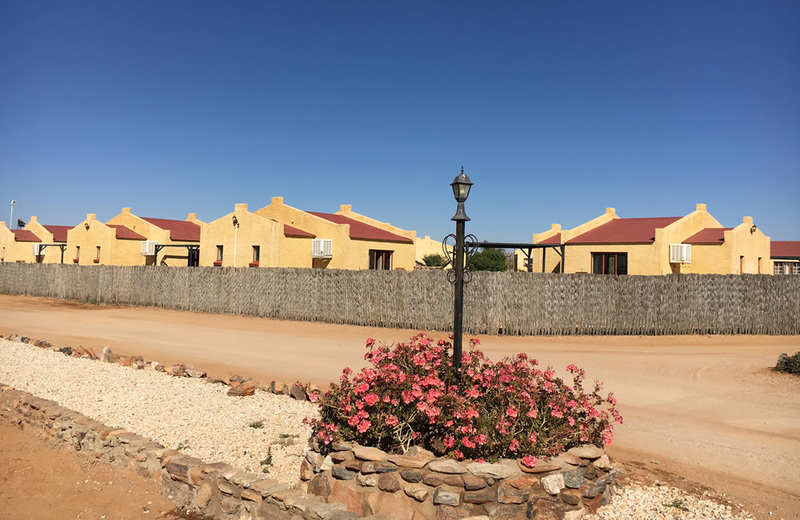 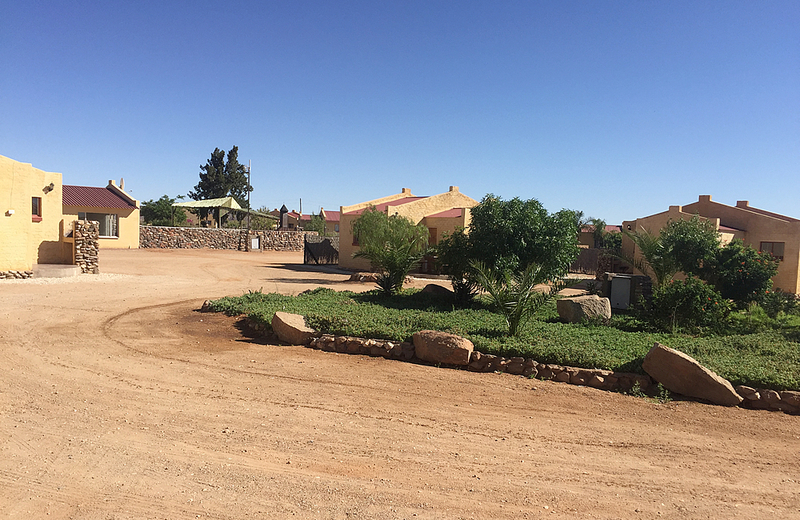 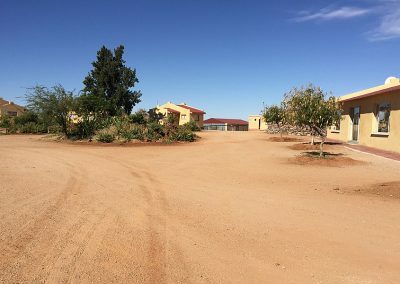 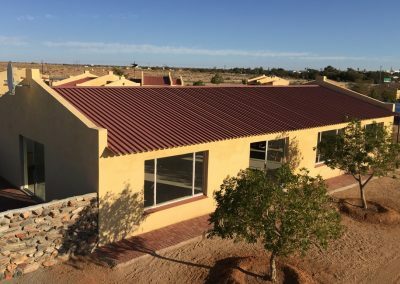 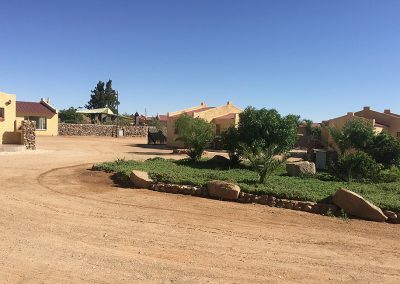 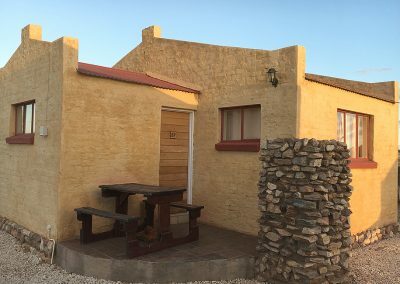 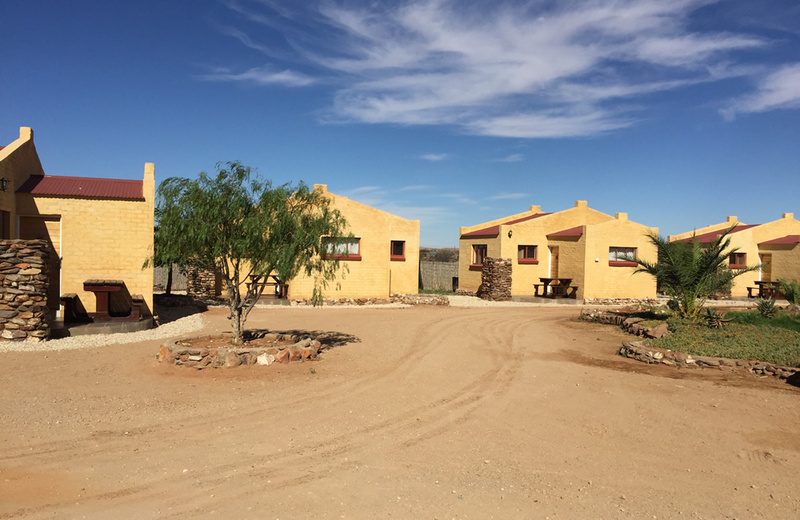 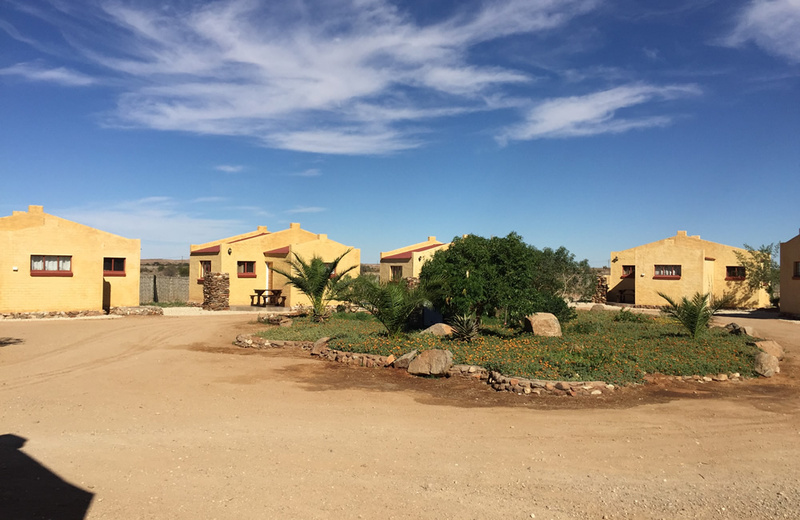 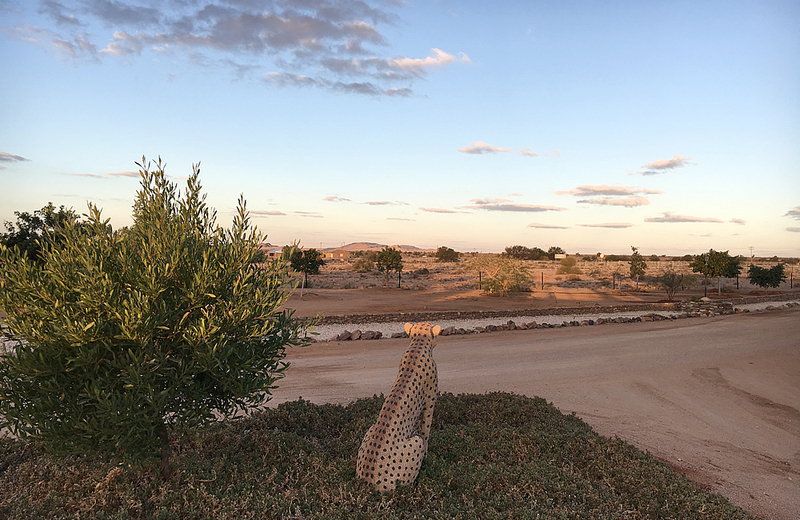 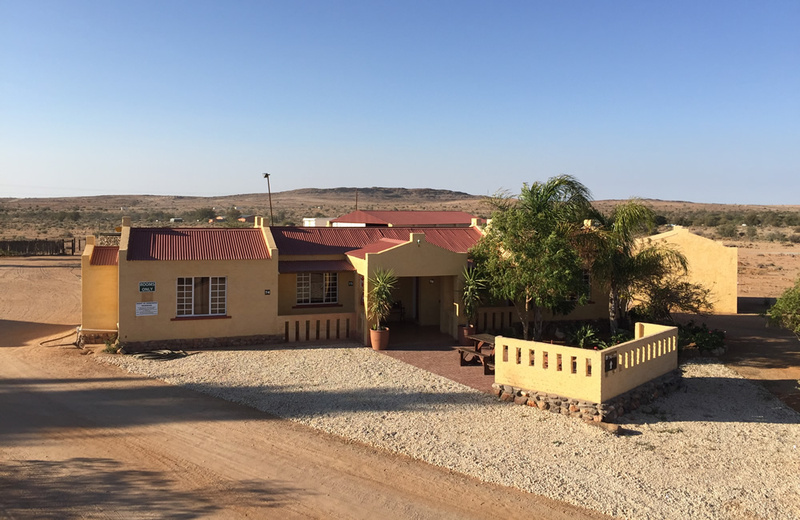 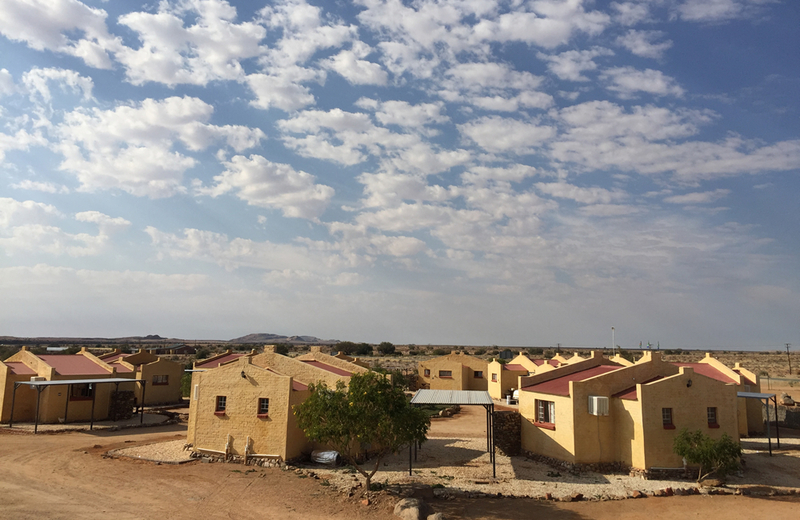 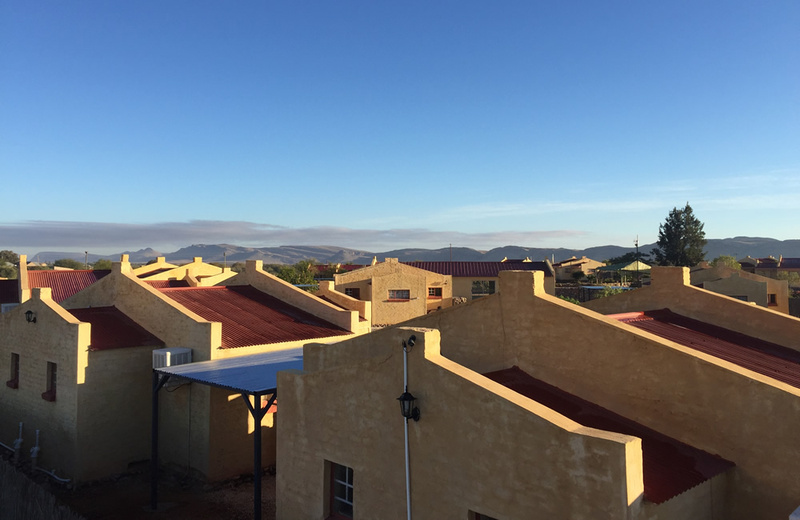 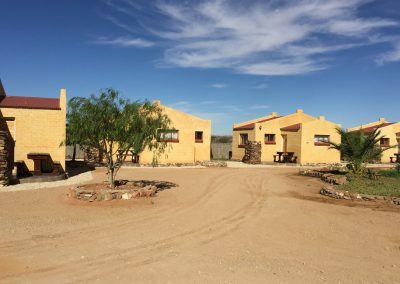 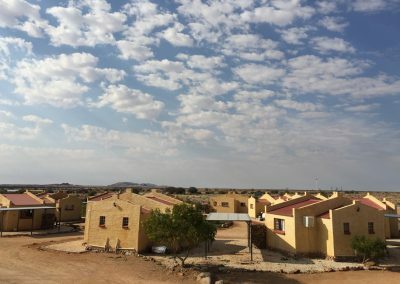 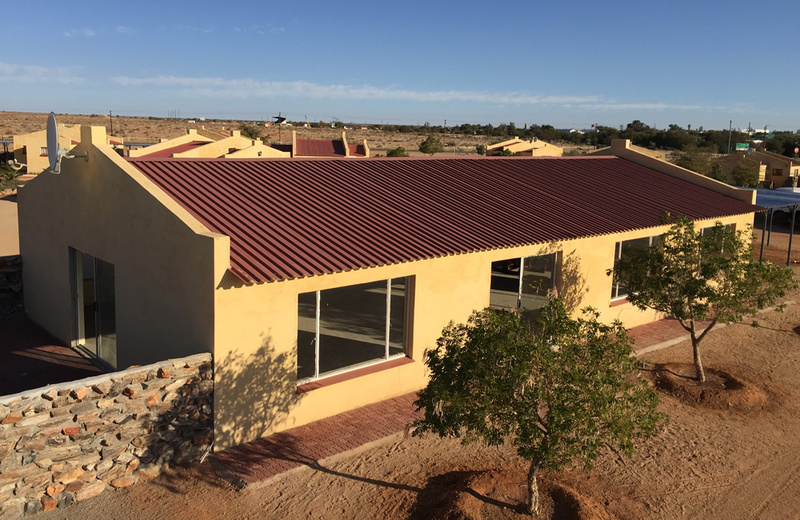 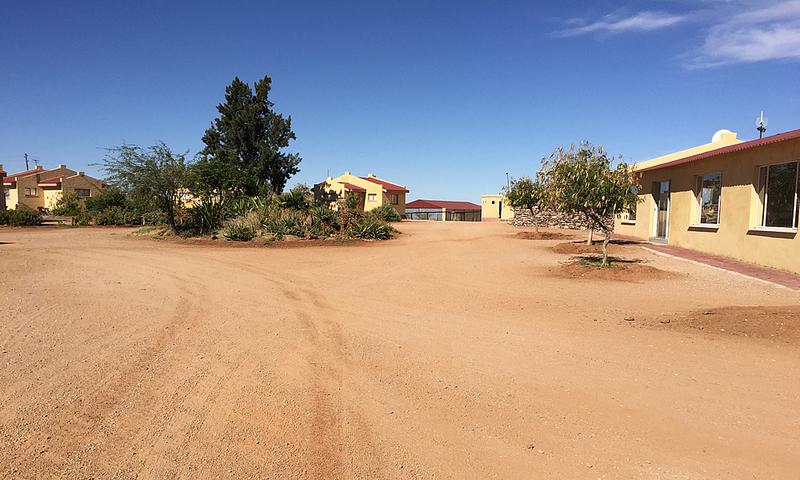 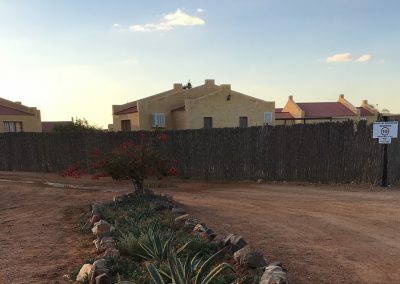 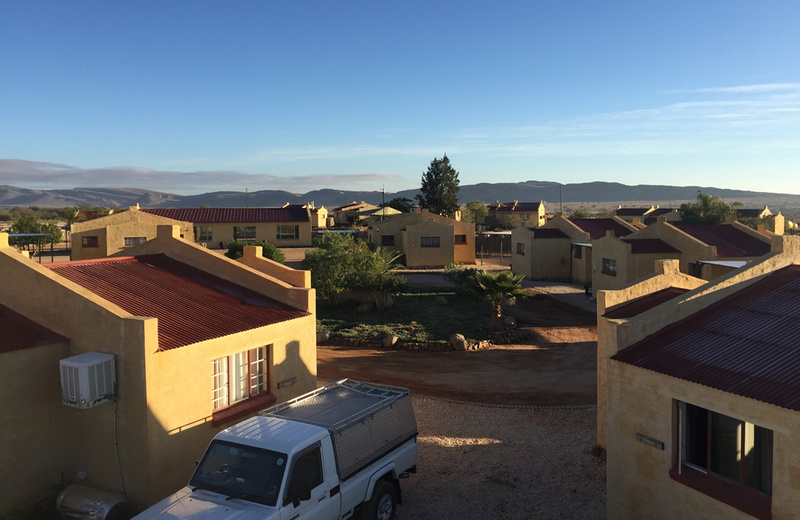 This new development is located on the main route from Upington to Springbok, bypassing Pofadder. 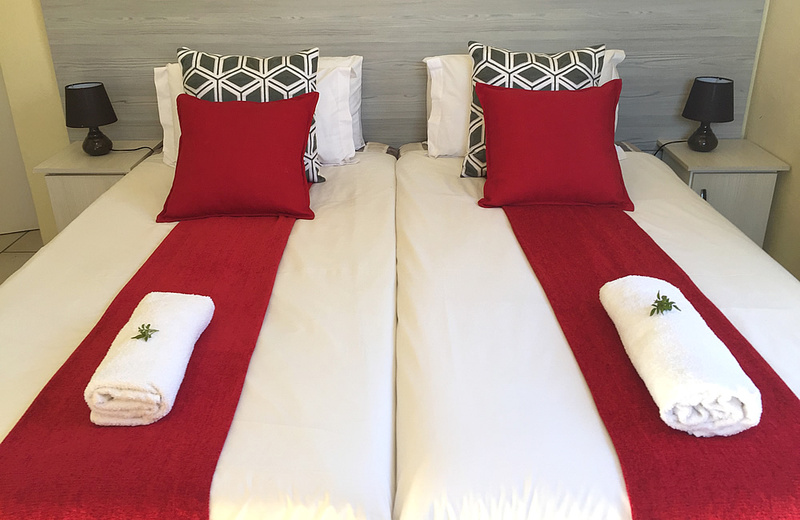 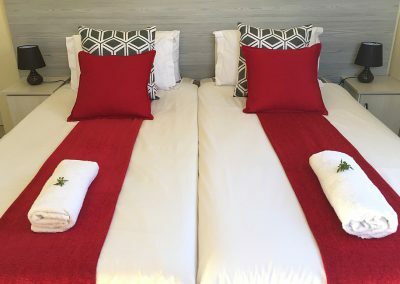 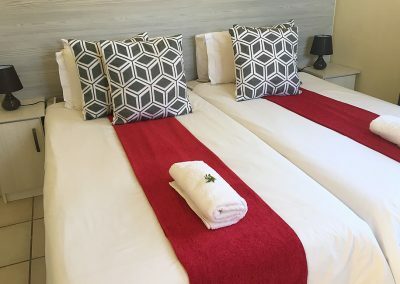 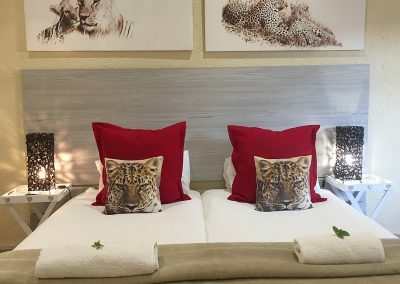 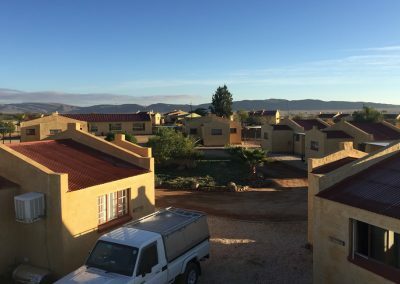 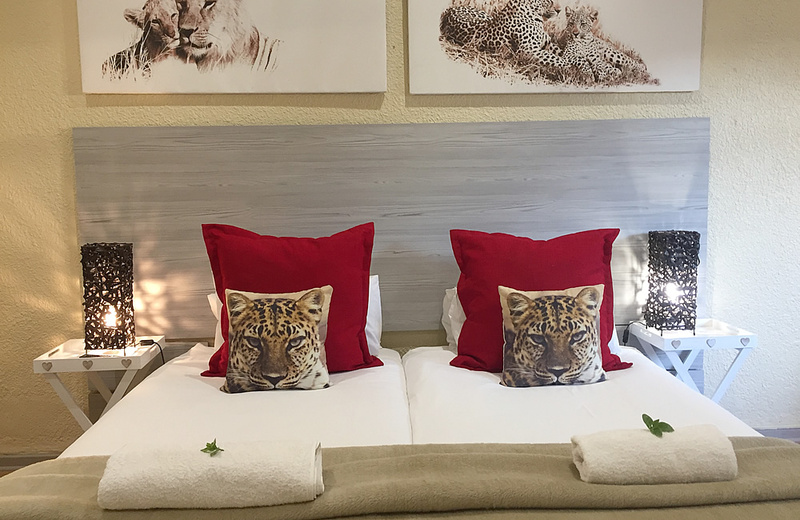 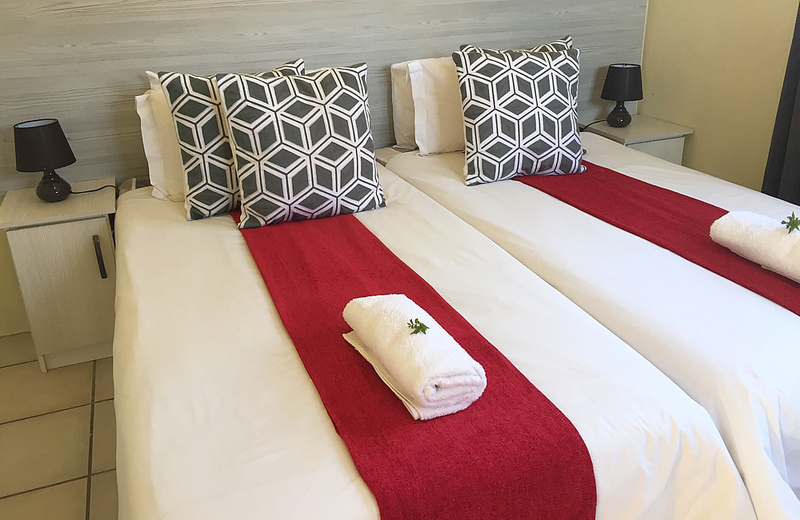 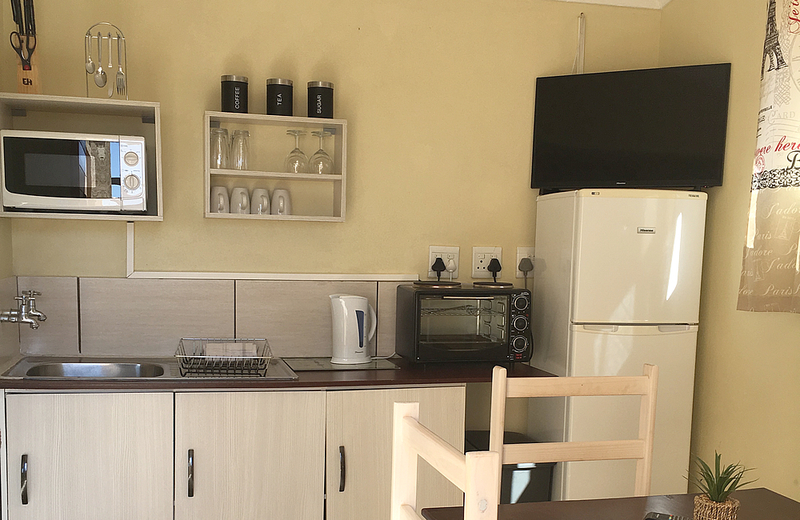 There are 5 self-catering chalets each with two bedrooms and two singlebeds inside each room fitted with bedding and towels. 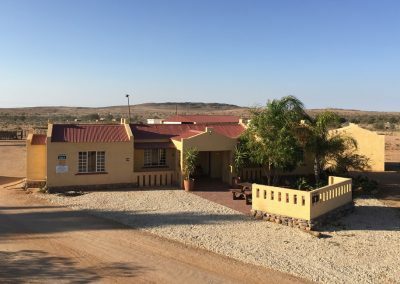 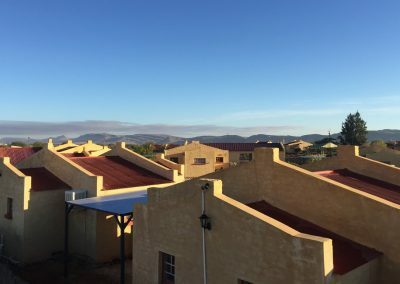 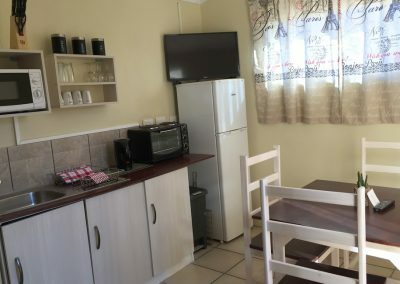 The rooms have air-conditioning, radios and satellite TV. 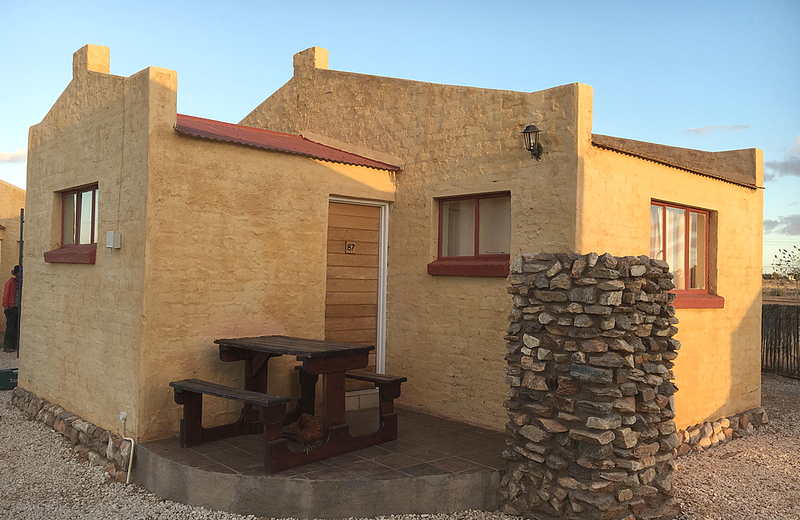 Beautiful bathrooms each equipped with a shower for your convenience. 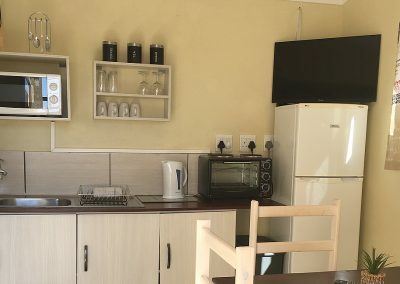 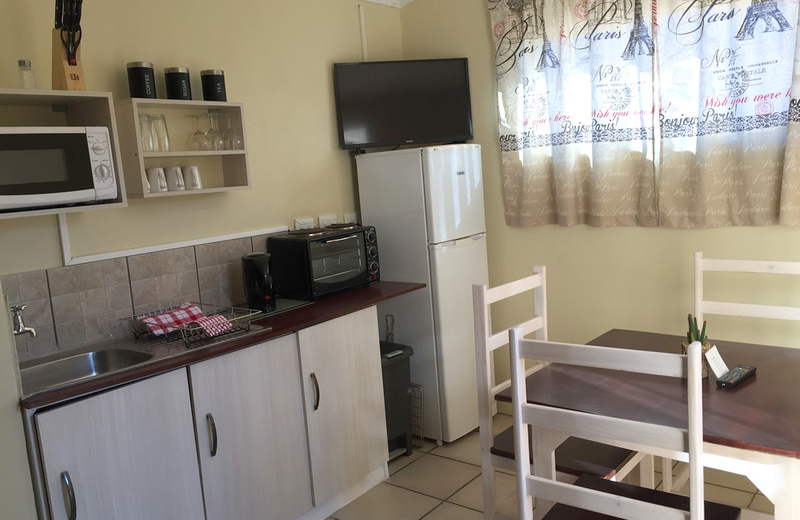 The chalets include a mini kitchenette with a fridge, cooking-plate, microwave, electrical kettle, toaster, cooking utensils, cutlery and crockery. 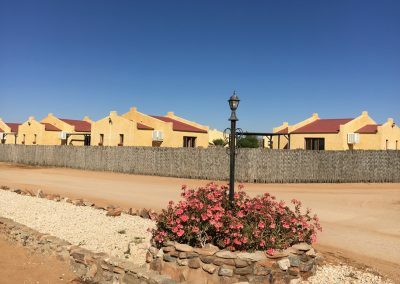 The interior of each chalet is exquisite, homely and peaceful, complementing the colorful garden and surrounding landscape. 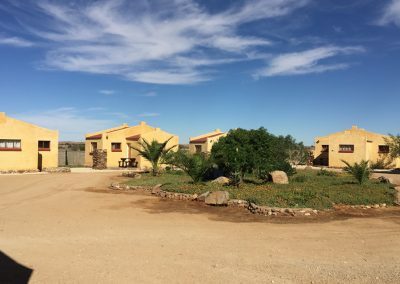 Outdoor barbecue facilities with tables and chairs in the garden are at your disposal. 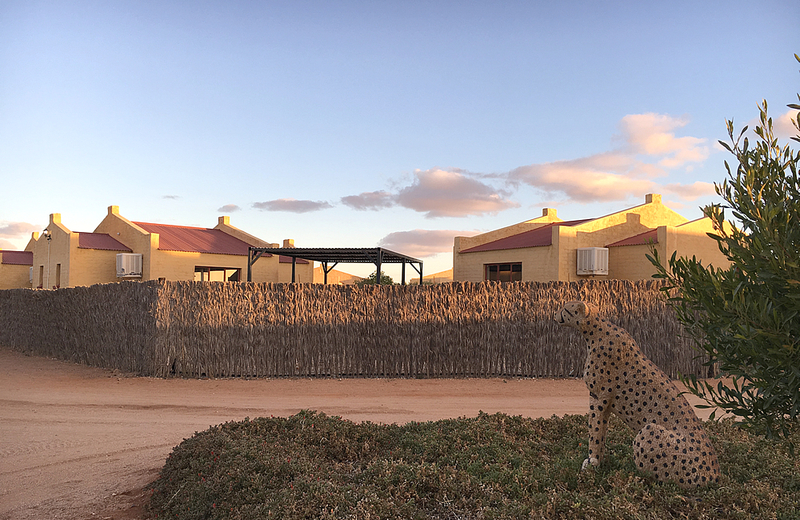 Guests are welcome to relax and admire the beautiful colourscheme sunsets. 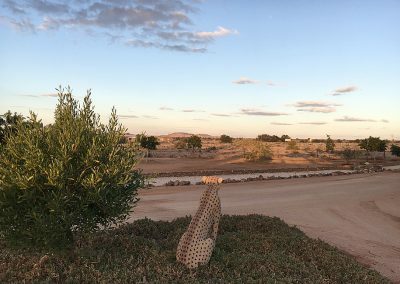 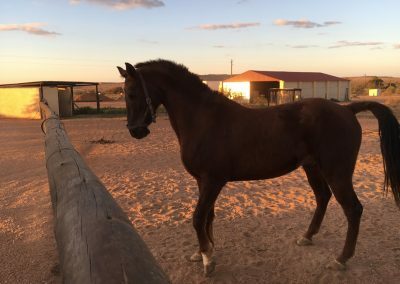 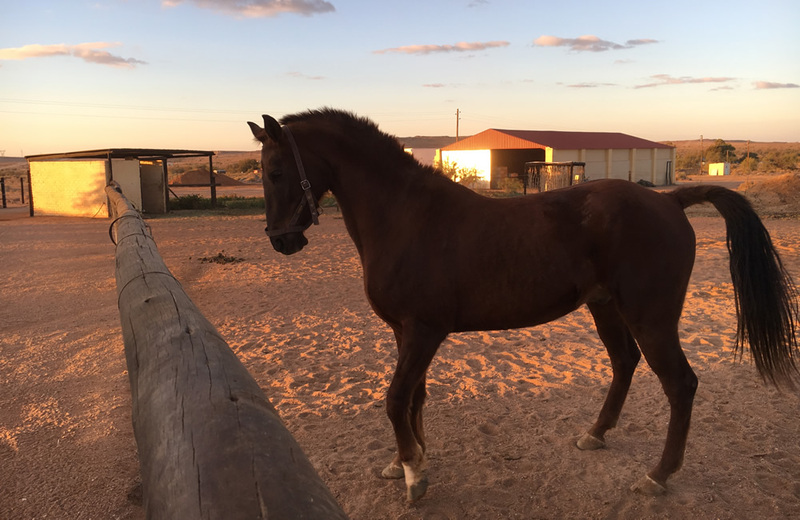 Hear the bleating of sheep and goats and the crowing of chickens or enjoy the long-neck ostrich with its fast dancing displays. 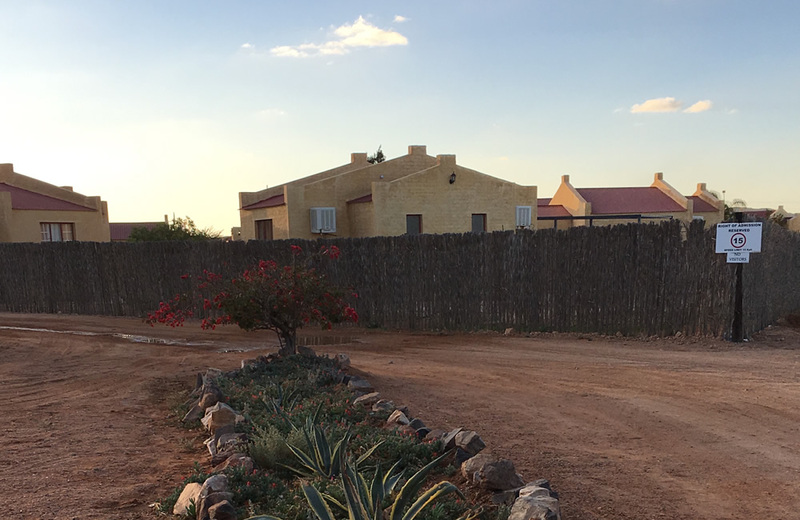 Jakkie the golden Bull Terrier welcomes the guests with a hearty paw-shake. 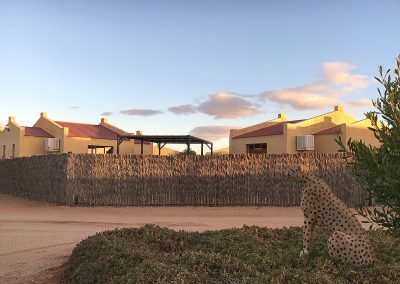 She cares for the safety of guests and animals.